My Green Montgomery is now on Pinterest! 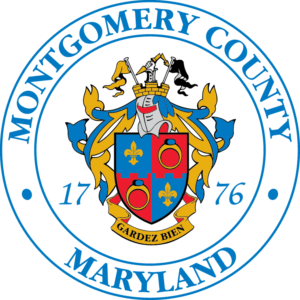 Follow our boards for more ideas on how you can live a green life in Montgomery County! Ever wondered what a permeable paver walkway would look like in your backyard? Or what types of native plants would look amazing in your new conservation landscape? Now you can easily visualize and collect ideas for how to make your home greener by following My Green Montgomery on Pinterest! Pinterest is a visual-based social media platform that allows users to collect, or “pin,” photos of projects and ideas to different interest boards. Think of it as a web-based version of a bulletin board. By pinning a photo of an item, concept, or project, you create a bookmark of it for easy retrieval down the road. That bookmarked photo is visually appealing and links you back to its original website where you can find more information about it. A screenshot of pins relating to the topic of conservation landscapes. Similar pins can then be grouped on boards to provide inspiration for a project, hobby, or lifestyle. These images can provide a means for future planning (recipes for Meatless Mondays), inspiration (motivational quotes and photos), or simply to show off your unique style (share your favorite camping gear with a friend). Organize and save ideas for later or discover new things, Pinterest has it all! Our current collection of boards covers many topics from the RainScapes program. A closer view of the some of our current boards. More will be added in the future, so check back for updates! As you can see in the screenshots above, our initial launch focuses on project ideas for the Department of Environmental Protection’s RainScapes program. You will find pins relating to conservation landscapes, rain gardens, rain water harvesting, permeable pavers, trees, green roofs, and native plants. The best part is, if you decide to implement any of the project ideas, you may be eligible for a rebate from the RainScapes program! There are plenty of ideas to explore and we encourage you to follow us and get inspired! There is potential in the future for more diverse project ideas covering a wide range of environmental topics, so keep an eye out for new boards.